a panhard bar and coil over shocks. The rear is a Ford 9" donated by a 76 Lincoln Mark IV. 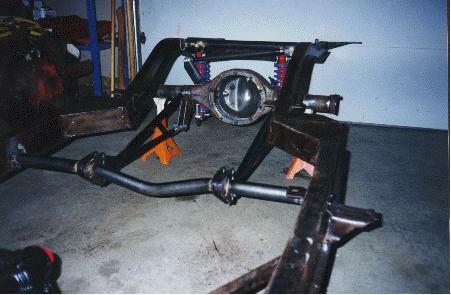 The frame was covered only with surface rust and was ground clean, primed, and then painted flat black.